The Relentless Reader: Have a Very Bookish 2014! Have a Very Bookish 2014! My 2013 was jam-packed with over 200 books. (207, to be exact) I always knew I read a lot. I didn't know that I read that much. I knew I could cram some pages. I had no idea I would cram over 63,000 of them into my brain. 2013 was supposed to be the year of NO challenges. I caved and signed up for one in the very beginning of the year. It was a giant flaming fail. I'm learning about my limitations as a reader/blogger. Pressure isn't my friend. If I sign up for anything in 2014 it's going to be for something that I know I'll already be accomplishing. 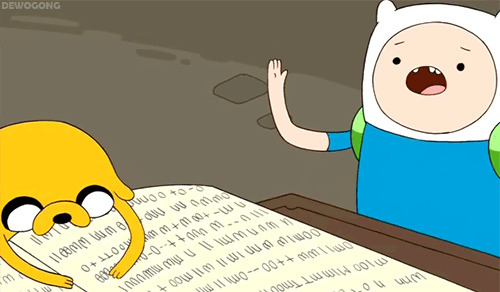 (Does that smack of writing something on a to-do list after you've done it just so you can cross it off? So be it!) Also, I'm going to work on my own shelves and stay away from Netgalley for a while. Here's to 2014, let's make it a good one! Do you have any bookish resolutions for this year? And YES I agree with you on the challenges! Haha I totally add things to to-do lists after I've done them, just so I can have more things crossed off! Looks like you had a great reading year! I'm always astounded by how many books you manage to squash into your brain. Here's to a great 2014! 200 books! Wow. Congrats on your first full year of blogging, here's to many more! I MIGHT be guilty of sometimes putting things on a to-do list when I either know I am definitely doing it or have already done it. :) I hope that 2014 is a smooth and easy year for you. Pressure is NOT my friend either! Happy 2014. I'm so impressed with your reading speed. Holy crap. You had a great year of reading! I hope 2014 is another good year! I started a book journal back in Feb of 2008, so 2009 is my first full year of keeping track. I too wish I'd been keeping track my whole life. Have you ever read The Night Book mobile? The character in the book discovers a book mobile that only contains the books she's read over her lifetime. I wish I could find mine! Happy reading in the New Year! Congrats on reading so much, I am in awe of 207 books! I signed up for some challenges this year. I hope I get to finish them :) I only read 34 books in 2013. 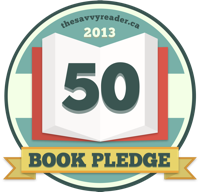 I'm hoping to read 50 this year and I signed up for the 50 Book Pledge yesterday. 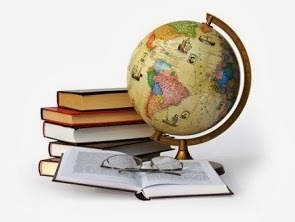 Have a great reading year this 2014! No goals - that's too much pressure for me. I guess I always have the underlying 100 book challenge in my head but have only hit that once in the last 8 years. Can't wait to see more of your reviews again. 207 books?? You really are the relentless reader! My best year ever, when I could listen to books while I was working, I only read 121. Congrats on a great year of reading/blogging! I will try the TBR Pile and Eclectic Reader Challenges again, and my local library's annual Adult Winter Reading Program. Although I'm happy about my reading in 2013 overall, I'd like to do better on these challenges in 2014! And I'm going to try for less internal pressure on myself to read everything so FAST. My kids love that gif at the top! I've kept track of books I've read since roughly seventh grade...and when I started then, I backtracked and wrote down some from earlier as well. I think it's smart to keep the challenges to a minimum. The two I signed up for overlap each other and all count toward my Goodreads goal, so I'm good for the year! What a great reading year - 207 books is just amazing! I'm the same with reading challenges - if I sign up for one, it basically means I will completely fail at it. Although there's a reduce-your-TBR challenge that I've been eyeing. Here's to another great year of reading, Jennifer! I've said it before, I'll say it again. 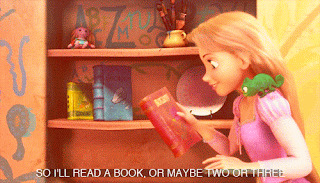 You are amazing with the speedy reading, and the GIFs. I totally sign up for things just because I know I'll do them anyway- it's the best way to feel accomplished! I'm not a challenge person either. Even ones that coincide with my preferences, I can't seem to get myself excited about. I've always aimed for 75 in a year, but I don't really count that as a challenge. Best of luck for 2014! I totally wish I'd kept track of my reading before 2013 too. Although, I have to bow down to your 207 books. Seriously amazing. Happy new year and I hope this year is delightfully bookish! I want to vary my reading more. I spend a lot of time reading romance novels but when I look back at the end of the year, those aren't my "A" books. It's not that I don't like romances; its just that there is nothing special about them. I want to intentionally read more books that are more substantive. So much for no challenges, huh?! You had an awesome year and congrats on your full year of reading! You had such a successful entry into the blogging world! And the pace at which you read leaves me breathless! Good luck in 2014. You had a great reading year! Happy New Year! Like you, I'm not completing in any challenges... Reading and blogging can be pressure on their own accord, never mind added pressure! I hope this reading year is as good as your last Jen! Happy New Year! 200+ books is an awesome number! Woo hoo to 207 books!!!! I am trying 150 again, but maybe I'll get to 200. I read over 160 this year, but I am hoping that I can make it to 200, too. That's a fabulous goal. The final count was 207? That's amazing! And well done on your first full blogging year. Yes to wishing you'd tracked books your whole life. That would be interesting and useful. wow I'm impressed with those 207 books. Hope 2014 is full of great books, Jennifer! Finally making it around to catching up on blogs. Holy smokes, 63k pages is insane! Following you on Goodreads now, can't wait to see what you read/write in 2014.